Military mascots are animals kept by the armed forces for ceremonial purposes, as emblems of particular units or simply for companionship. Many New Zealand military units, especially during the First World War and the Second World War, acquired unofficial mascots through various means. Dogs were the most common companions, but cats, donkeys, monkeys, lizards, pigs, goats and birds were also adopted as mascots. 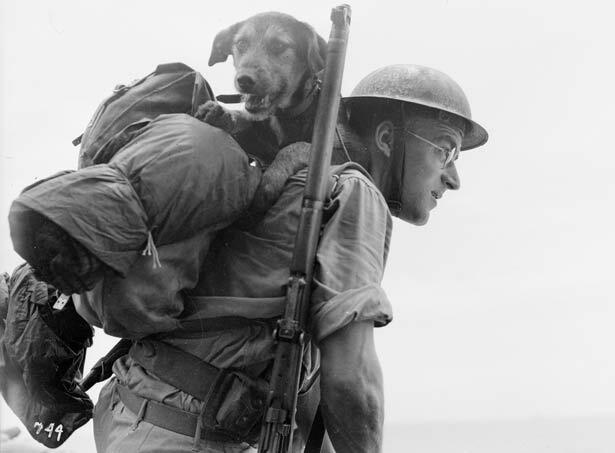 Although some animals went to war with their owners, most mascots were strays that were picked up along the way. Many were only temporary companions, but some served through entire campaigns. A few, such as the First World War Red Cross dog Caesar, combined their mascot roles with other duties. Dogs were especially useful for helping stretcher-bearers find wounded soldiers in no man's land at night, a role Caesar performed during the Battle of the Somme in 1916. New Zealand's best-known Second World War mascot was Major Major, No. 1 Dog of the 2 NZEF and regimental mascot of 19 Battalion and Armoured Regiment. He died of illness in December 1944 and was buried with full military honours at Rimini in Italy. A memorial to animals in war was unveiled at the National Army Museum in Waiouru on 24 February 2018, a date that has been adopted for the annual commemoration of war animals in New Zealand and Australia. We have 27 biographies, 40 articles, related to Military mascots.